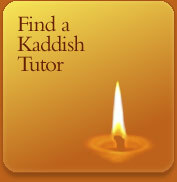 Sign me up for a free, personal, phone tutor to learn more about the meaning of kaddish and the mourning customs. Let us do the homework for you! We'll find a synagogue in your area where you are sure to feel welcomed and find a minyan. Most synagogues welcome community members to join them for services throughout the year so that Kaddish could be recited with a minyan. 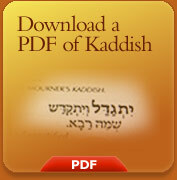 Rabbis and officers in various Synagogues often go out of their way to accommodate the needs of those reciting Kaddish in memory of a loved one. We will connect you to a Rabbi who will welcome you to the synagogue and help you feel at home.